When letting your property, your primary objective is simple – you want to find a reliable tenant who pays the rent regularly and looks after your property as you would yourself. The reality is usually more complex than this. Letting your property comes with legal obligations and social responsibilities, many of which are unknown to anyone who does not make a point of keeping up with this rapidly changing legislative environment. It is certainly worthwhile getting professional advice at the outset, not just about how to maximize the likely rent you can expect to receive, but also about how you can avoid the various traps along the way. So during your initial meeting with your chosen letting agent (which we hope will be us of course) you can expect your agent to, for example, provide you with advice on any suggested repairs and improvements that may be needed in order to comply with health and safety regulations. They will also arrange for safety checks on gas and electrical appliances to be carried out, as well as explaining why an inventory and property condition schedule is important. The agent should also discuss both landlord and tenant’s rights and responsibilities and give you advice on what action to take if the property is mortgaged, as well as on any insurance implications. They should also clearly state the way in which tenants are sourced and referenced, and provide details of how deposits and client monies are protected. 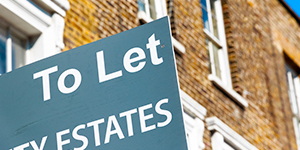 A good agent will also arrange to transfer the utilities to the new tenant and then go on to provide regular inspections during the course of the tenancy, and have a system in place that can rapidly be implemented covering physical emergency, non-payment of rent, effective eviction and tenant replacement. For peace of mind, you owe it to yourself to use a competent and knowledgeable letting agency rather than trying to go it alone. You’ll probably see the benefits immediately!